The southwest has become increasingly desirable for many people looking to relocate to a slower pace and family environment. Real estate in Gateway Ranch fit this lifestyle perfectly. 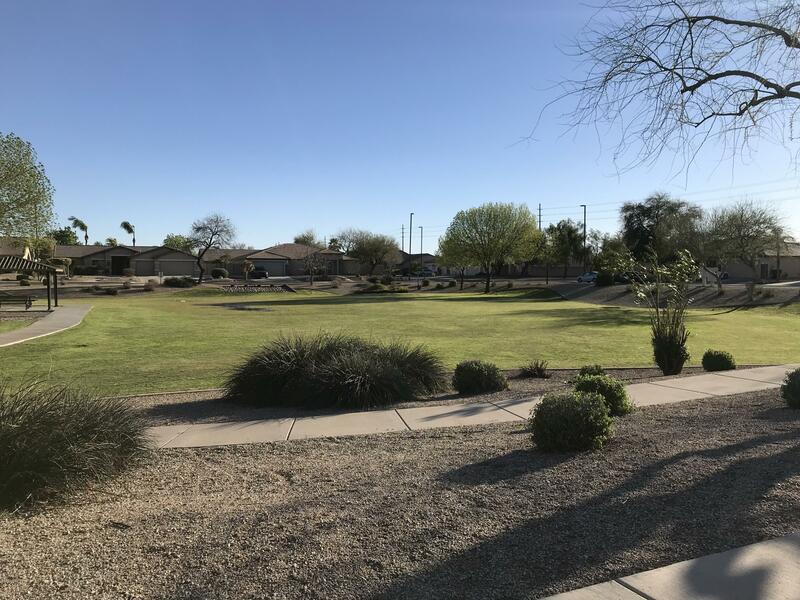 In addition to the small town feel, draws to Gilbert and to the East Valley (cities and towns east of Phoenix) are the warm weather, local entertainment, parks, golf courses and educational opportunities. Gateway Ranch is a newer community in eastern Gilbert that is less than 10 years old. This subdivision is found just north of Williams Field Road and west of Higley Road. Here homeowners are offered a premier location, since it is less than one mile from the Loop 202 Freeway and near the brand new Spectrum Mall. The restaurants and shopping in the area range from very affordable to sophisticated and high-end. Parks and golf courses are also abounding in this area. There are five stand alone golf courses in Gilbert and many more in the surrounding areas (Mesa and Chandler) and within nearby resorts. The City of Gilbert maintains 19 public parks with Cosmo, Discovery and Crossroads parks just a few miles away from the subdivision. In addition to public parks, the city also supports several community and activity facilities such as the Regional Library, Freestone Recreation Center and Cosmo Dog Park. Both residents and visitors alike can take advantage of the wide variety of classes, activities and seminars held at these facilities. Three municipal pools are also open to the public seasonally. This family-friendly neighborhood really offers something for everyone. Education opportunities are endless here. The public, private and charter schools in this neighborhood give parents and students many choices to obtain a great education. Gateway Ranch feeds into the Higley public school system, district 60. Gilbert is also home to the Chandler-Gilbert Community College and close to the Arizona State University East campus. Real estate at Gateway Ranch offer more than just a house. The nearby schools, parks, shopping and entertainment add to the community. The subdivision amenities include a community pool, spa, landscaped common areas and a comprehensive home owner’s association. The similar ranch style property features include block fencing, tile roofs, patios, sunscreens and RV parking. Some of the homes for sale also include up scale amenities such as private pools with pebble tec, granite counter tops, central air and large back yards. As a local development that rivals other master planned communities, Gateway Ranch offers families the community environment and warm homes that they are looking for. Three to four bedroom homes with two to three bathrooms and two car garages are typical. With a variety of properties for sale available in the community and an average real estate price of $440,000, buyers have many beautiful and affordable homes to choose from. A realtor can assist you in finding the perfect combination of amenities and location.